Broadway Café, located on Briarcliff Road by LaVista Road, is the Milchig (dairy) sit-down restaurant, and really the only place to go for its level of service (not upscale fancy, but certainly business-appropriate). Broadway bills itself as vegetarian (with plenty of fake-meat and also vegan options) and draws in even non-Jewish diners during the local business lunch hour. The current location is where Pizza Palace (now closed) used to be; Broadway has since added Satrday night hours and pizza-by-the-slice specials. See their menu and even place your order online. Pita Palace is around the corner on LaVista Road, and also draws an international crowd that favors falafel and shawarma. There’s not much seating room, but could still be business-appropriate if you’re specifically looking for an international ambiance. Following LaVista down to North Druid Hills and the Toco Hills Shopping Center leads you to the aforementioned Kroger and Publix supermarkets. Kroger has a Chinese takeout station Chai Peking inside (order on your way in, shop for your weekly groceries, and pick up on your way out), and also has a Fleishig (meat), well, American, I guess, take-out counter (sandwiches, fried chicken, hot dogs, etc.). Publix’s deli counter has a sub station (I recommend picking up some subs to take with you to Turner Field downtown should you have tickets to a Mets Braves game). Both have full-service meat, fish, and deli counters and Kosher bakery sections. There is also a separate Pareve bakery, Simone’s, that is near Kroger. Simone’s in-house baked products are all Pareve, though they have many pre-packaged specialty items including cheeses, nuts, and candy. Several hotels and other conference centers are in touch with Kosher caterers, so you should feel comfortable asking for Kosher food if you have business in the area. Kosher Gourmet, the latest name of the store locals still know as “Steve’s”, is one such caterer who also has a storefront next to Broadway Café. They have a small selection of Kosher-brand pre-packaged products, a large selection of brands and styles of wine, plus cheese, fresh meat/poultry, and gourmet in-house prepared dishes available for take-out, delivery, and catering. Local Dunwoody supermarkets have Kosher sections, catering to the communities who live there and pass through on their way to the JCC. There is a café – Goodfriend’s Grill (which has, in addition to a grill, a dairy side as well) – in the JCC itself. Local Sandy Springs supermarkets have Kosher sections, catering to the communities who live there and pass through on business. Near the heart of the business district (Hammond Drive) is OU for You, which is essentially a Milchig Pita Palace, serving Falafel and other middle-eastern fare to the local Israel business market. Bonus: during Channukah they have authentic Israeli Sufganiyot. See the Atlanta Kashruth Commission’s listing of locally supervised establishments (which include some locations of Bruster’s Ice Cream and Krispy Kreme Donuts) for the latest on locations and contact information for all the previous sites mentioned. Tourist Info: The Toco Hills community is north of downtown Atlanta, but its easy access to I-85 and the MARTA public transit system keep it within a 10-30 minute range of all the local attractions. 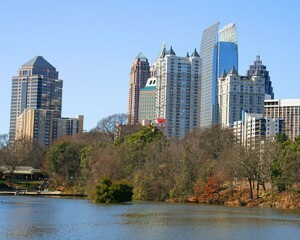 The Dunwoody community is north of metro Atlanta, directly outside the I-285 loop defining the “perimeter” of Atlanta. Public transportation is a little weak, but with a car, you’re within a 20-30 minute range of all the local attractions. The Sandy Springs community is north of metro Atlanta on the edge of the perimeter, and abuts GA-400, which runs from downtown directly north (while the interstates run NW and NE). 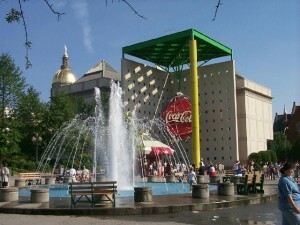 Downtown destinations include the newly revamped World of Coca-Cola (yes, they still have the international tasting room), CNN Center, the Georgia Aquarium, Zoo Atlanta, Cyclorama, and several other historical sites. Underground Atlanta can provide some shopping (plenty of other malls in the suburbs as well), and Turner Field, Philips Arena, the Georgia Dome, and the Fabulous Fox Theatre all add entertainment value. Driving half an hour or more in any direction starts to take you away from the major city centers and into a more natural Georgia. 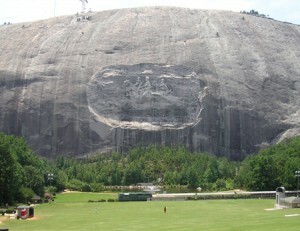 Stone Mountain and Kennesaw Mountain offer hiking and historical sites, and the famous Stone Mountain laser show every May-August evening is a must. 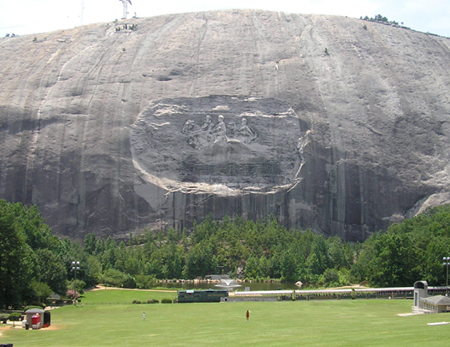 The farther away from Atlanta you get, the more mountainous the terrain and the more you’ll see of nature trails and state parks. Jewish Info: The Jewish community as a whole extends all throughout the Atlanta metropolitan area and even throughout the rest of Georgia, but Toco Hills is the Orthodox headquarters. LaVista Road itself is home to 5 Shuls, a Kollel, a Mikvah, the Atlanta Kashruth Commission, and Torah Day School. Between the Shuls, schools, and food (and, of course, an Eruv), Toco Hills (and Atlanta in general) is clearly a self-standing Jewish community. Sandy Springs hosts Beth Tefillah, the full-service Shul which also serves as the flagship for the Chabad of Georgia. The Shul, with a Mikvah, and local community are encircled by an Eruv. Several Jewish schools are nearby, in addition to Chabad’s educational services. The Chabad of Alpharetta is your source for Orthodox Jewish life in that area, and now includes an Eruv and a Mikvah. The community has seen a recent growth due both to the increased business industry in the area, as well as its residential situation. With the Atlanta-based communities becoming more expensive and young-couple housing becoming scarce, Alpharetta has been able to offer newer houses at $100K less than Atlanta, attracting several younger families to consider Alpharetta as a place to settle. Toco Hills synagogues Beth Jacob and the Young Israel are also valuable resources.